The space shuttle had three standard landing sites: Kennedy’s Space Center’s Shuttle Landing Facility, a concrete landing strip at Edwards Air Force Base, and a gypsum runway at White Sands. Boeing officials say the CST-100 Starliner’s first unpiloted demonstration flight is scheduled for May 2017, when the capsule will fly to the International Space Station, dock with the complex to deliver cargo, then return to Earth. The demo flight is followed by a pad abort test at White Sands in August 2017, a CST-100 demo mission with astronauts in September 2017, and final certification of the human-rated craft by NASA before operational crew rotation missions begin in December 2017. 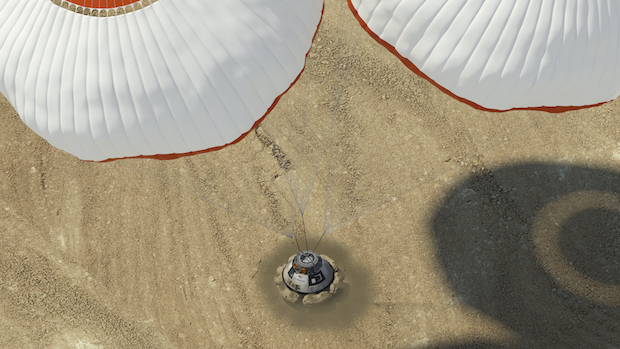 Boeing wants to narrow down the roster of landing sites for the CST-100 Starliner’s first two test flights in 2017. “We’re focusing on White Sands and Dugway as our target sites for those flights,” Ferguson said. He declined to rank which location would be the prime landing site, saying that decision could be made much closer to the mission. The third space shuttle mission landed at White Sands in 1982, and two NASA robotic probes — Genesis and Stardust — returned to Earth at Dugway with solar wind and cometary samples. Each CST-100 mission to orbit will launch from Cape Canaveral aboard United Launch Alliance Atlas 5 rockets. Boeing officials are working on mission control guidelines for CST-100 flights as technicians in Florida assemble the capsule’s first test article. That is not the case for the CST-100 program. Boeing is the capsule’s owner and operator, but the aerospace contractor is delegating front line control responsibility to NASA’s mission control experts at the Johnson Space Center in Houston. 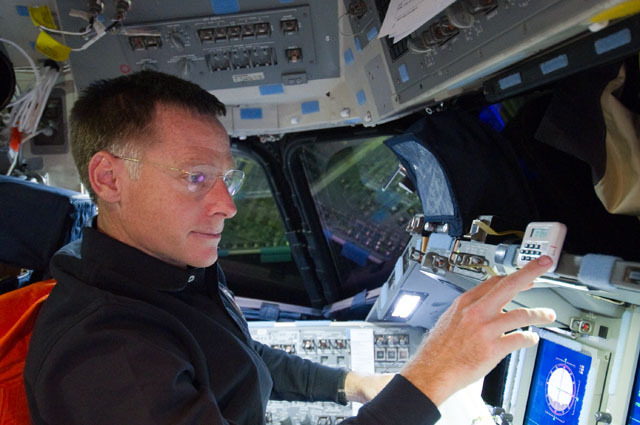 NASA’s crew trainers will also get CST-100 passengers ready for flight. “It will have a different look to it, but a lot of those same faces will be part of the control team that worked the last space shuttle flight,” Ferguson said. The first launch day simulation with Boeing, NASA and ULA teams is scheduled for January, according to Ferguson. ULA’s Atlas 5 rocket, like other launchers, cannot be controlled in flight, but the booster will carry a computer designed to detect failures and trigger an abort, separating the crew capsule before an explosion. Meanwhile, spacecraft construction at the Starliner factory at NASA’s Kennedy Space Center is ramping up. The program will eventually employ 550 people on Florida’s Space Coast as the CST-100 moves into full operations. 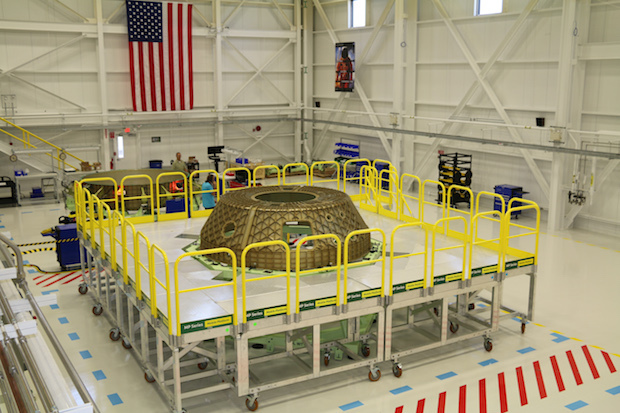 Pieces of the CST-100 Starliner’s structural test article, including forward and aft domes, a tunnel and a hatch, are inside the KSC assembly plant, which was once a space shuttle hangar. Boeing is taking a different approach to development of its human-rated spacecraft than SpaceX, which has already completed a pad abort test and plans an in-flight abort demo in late 2016. 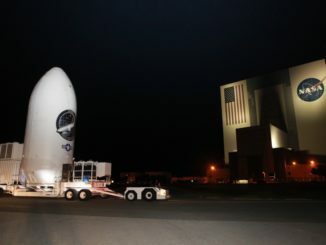 SpaceX is testing as it goes, while Boeing is doing more design work up front. “A lot of focus is on ensuring, at this phase, that we’ve got full rigor in all our processes and all of our designs, really trying to buy down the risk that something could come up downstream to perturbate either our design or our schedule,” Mulholland said. 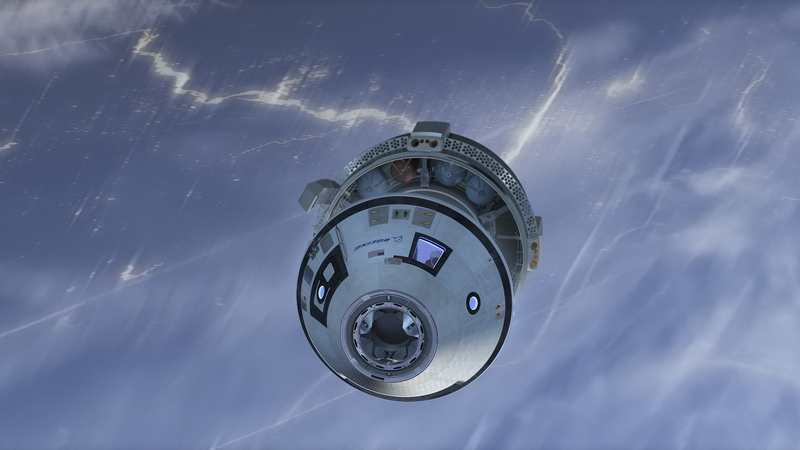 Boeing plans no such in-flight escape test, and Mulholland said it can prove out the CST-100 abort system through wind tunnel analyses. Mulholland said the sequence of test flights in 2017 is tight, but Boeing’s schedule has margin to achieve the start of operational missions by the end of that year. 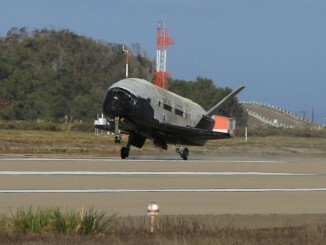 Managers decided to move the pad abort test from early 2017 to August, a change that Mulholland said created more margin in the schedule leading to the first crew flight. Boeing is building at least three flight-ready CST-100 crew modules, and each will be certified for up to 10 missions. Every flight will require a new service module. 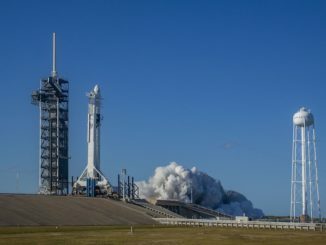 The company could order more vehicles if Boeing wins a contract to resupply the space station with cargo, an award NASA expects to announce November. Pieces of the first space-rated Starliner arrive at KSC at the end of the year, and engineers will put together a qualification unit after shipping a stripped-down structural test article to a Boeing facility in Huntington Beach, California, for loads testing. The qualification article will be outfitted for the pad abort once its ground testing is complete, and Boeing will fly newly-built capsules for the uncrewed and crewed demonstrations to the space station. Designers have also added body-mounted solar cells to the aft end of the CST-100 service module to give the spacecraft more power, Mulholland said. The extra power ensures the capsule meets its requirements set by Boeing and NASA. Ferguson said Boeing and NASA should announce the two-person crew for the CST-100’s first piloted test mission next year. The duo will include a Boeing pilot and a NASA astronaut. Many observers believe Ferguson, a veteran of three space shuttle missions, could be Boeing’s test pilot. NASA has already announced a group of four astronauts to start training on CST-100 and Crew Dragon systems to fly on commercial spaceships, but no specific crews have been named. Boeing and SpaceX crewed flights by the end of 2017 depend on Congress appropriating $1.2 billion for the commercial crew program, in line with NASA’s request, according to agency officials.